Tehran, Feb 6 (IANS) Iranian Foreign Minister on Wednesday denounced US President Donald Trump’s State of the Union address in which the Republican leader defended his country’s sanctions against Tehran and accused the regime of sponsoring terror. Mohammad Javad Zarif took to Twitter to vent his protest against Trump’s annual address to Congress. 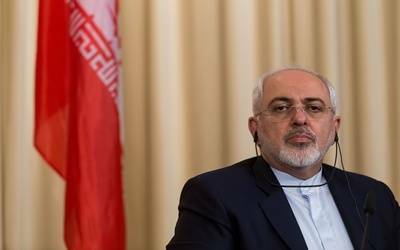 "Iranians-including our Jewish compatriots-are commemorating 40 years of progress despite US pressure, just as Donald Trump again makes accusations against us at SOTU 2019," Zarif said. "The US hostility has led it to support dictators, butchers and extremists, who have only brought ruin to our region," he added. In his State of the Union address on Tuesday, Trump contextualized his Iran policy by castigating the regime for its anti-Semitism. He said that Iran "chants death to America and threatens genocide against the Jewish people. We must never ignore the vile poison of anti-Semitism or those who spread its venomous creed". The need to take a strong stance against Tehran, Trump implied, was evident in the attack at Pittsburgh’s Tree of Life Synagogue, in which 11 people were killed – believed to be deadliest act of anti-Semitic violence in American history. Tehran was thrown back into the diplomatic spotlight after Trump decided to pull out of the 2015 nuclear deal in May 2018 and draw up fresh sanctions against it, targeting Iran’s central bank and oil exports. The move came despite the fact that independent monitoring agencies and the remaining signatories, which included China, Russia, the UK, Germany and France, insisted that Iran had upheld its side of the bargain de-escalating its nuclear programme in exchange for the partial lifting of economic embargoes. Trump has repeatedly branded Tehran as a sponsor of global terror and has accused it of nurturing Shia militias across the region, from Hezbollah in Lebanon to the Houthis in Yemen.